Sarandon and Clinton. Image via Business Insider. Hillary Clinton is almost no one’s idea of a conservative (although her SNL portrayal argued that the election comes down to “the Republican or Donald Trump”), and yet Susan Sarandon has somehow made that case (although David Frum actually made a serious conservative case for her election here). In a letter posted on Jill Stein’s campaign website, Sarandon attacks Clinton for a wide variety of positions she has held at one point or another. Amusingly, the post on the website also concedes that Stein has no chance of winning the election. Everyone knows this, but it is interesting to see the Stein campaign stating this themselves. This is not too surprising, since the campaign has had a series of laughable incidents, such as flying Stein into the wrong city and its tweeting about the death of Harambe the gorilla. In her letter, Sarandon states that “now that Trump is self-destructing, I feel even those in swing states have the opportunity to vote their conscience.” In other words, she believes that a Clinton presidency is so assured that voters should be able to vote for a candidate with no chance of winning. The Stein campaign itself writes in the post about the endorsement that “getting 5% of the vote will give us a huge boost.” Everyone is aware that 5% is far from what it will take to win the White House, and this actually implies that they view this as the ceiling of their support (which is, again, probably true)! 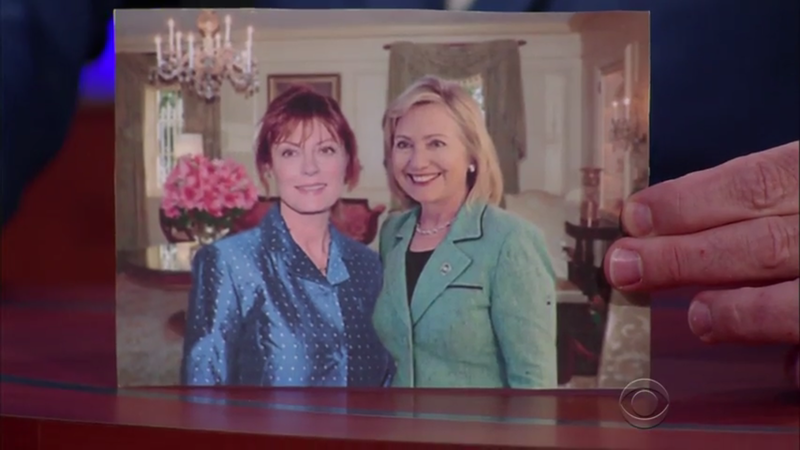 Sarandon has never been a fan of Clinton’s, so this announcement does not come as a surprise. Contrast this with Evan McMullin’s third party campaign that concedes that he can’t win the election outright, but at least has a plan to win him the presidency! What amuses me about this is that these are positions that Republicans are more likely to agree with almost all of these than Democrats. Clearly Sarandon does agree with Kate McKinnon’s fantastic Clinton portrayal of the election coming down to the Republican or Donald Trump. Republicans have internal conflicts to work out, but if Democrats are heading in Sarandon’s direction they will definitely be in deep trouble themselves.